How Is Business Conducted in India? What are the Right Strategies for Doing Business with India? What are the Problems of Doing Business in India? How can you overcome them? How do Foreign Investment in India works? How to do, Trading with India? How to Negotiate in India? How the Indian Culture works? How to Do Business in India? What is India Business Culture, India Business Etiquette, India Business Practices? India Business Conference offers opportunities in investing and doing business with India in various sectors including Opportunities in Real Estate, Investment, Trade, Outsourcing, IPO, KPO, IT, Software, Call Centers, Infrastructure, Telecommunication, Power Sector & other sectors. It covers Legal, Financial and Tax aspects of Doing Business with India. Great Opportunity to Network with corporate and governmental leaders. India economy is expanding phenomenally fast, with a growing consumer class and confident private sector. Discover everything you need to know to open doors to India - one of the world's top "Big Emerging Markets"
India Business Conference for Multinational Companies Doing Business in India, American Companies Doing Business in India, Any size US Companies Doing Business with India. • Why India is place to do business with? 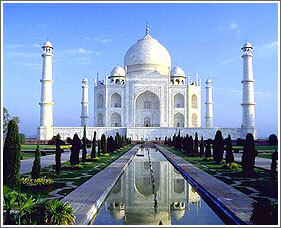 • What attracts foreign investment and business dealing with India? • What types of activities and businesses are permitted? .53062. Registration Policy: All fees must be paid in advance to confirm registration. Substitutes are permitted. No refunds will be granted under any circumstances. Please make all checks payable to Goodsoft Inc.